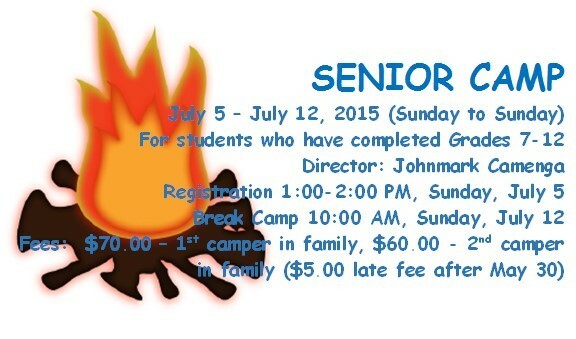 Our church is sponsoring kids who want to attend Summer Church Camp at Camp Joy in Berea, West Virginia. The camp program includes Bible Study, Swimming, Crafts, Outdoor Worship, Singing, Campfire Games, Canoeing, and lots more fun activities. Camp Joy is owned and operated by the Appalachian Association of Seventh Day Baptist churches. 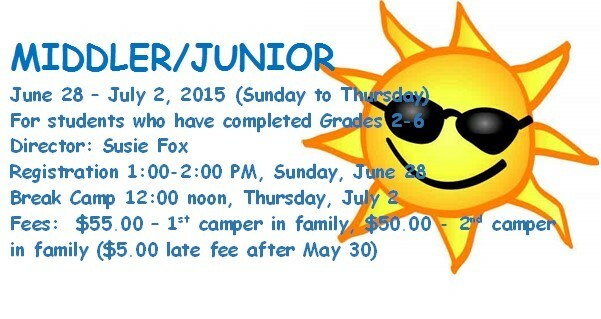 There are two camps scheduled for this summer: Middler/Junior Camp for kids who have completed grades 2-6 and Senior Camp for kids who have completed grades 7-12.